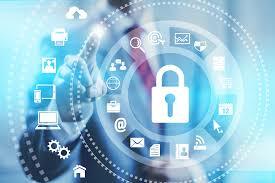 Cyber security is an issue stressed by major financial firms and government organizations all over the world. Cybercrime has been the scourge of all organizations that keep sensitive data about the common masses or a global company’s assets. If an unauthorized user was to illegally gain access to it, then he could wreak all kinds of havoc in the organization he or she has infected. Damage and theft of data, manipulation of data, leaking of company secrets and shutting down services are some of the most basic things that hackers look to do once they gain access to a system. It is estimated that the net worth that has been lost due to cybercrime is over $575 million, well over the GDP of many countries in the world. This goes to show how serious a threat cyber terrorism and cybercrime is. This is one of the most common and most difficult to detect attacks used by hackers. It takes advantage of an application storing data in more space than it was allocated in the buffer. The attacker can then overwrite on adjacent data blocks, causing damage and loss of data. This method is, however, also difficult to use since the attacker needs to know the buffer orientation and buffer storage system used. If the hacker knows that he can easily send an application more data than it can store in its prescribed buffer and then gain access to the user’s system when the control is returned to hacker’s code. Users’ systems, as well as web servers, can fall prey to this attack. This is the most dangerous and common threat for major organizations. Exposure of sensitive data can lead to huge losses for any organization, and this is where the attackers look to cause the most damage. Data can be stolen while it is at rest in the system, in a backup or in an exchange transit. Hackers can use malware when the data is in the system or use cryptanalysis techniques like a Man-in-the-Middle attack to snoop out sensitive data. Insufficient encryption techniques are the cause of damages in these cases. These happen whenever an application sends some untrusted data to an interpreter. Common victims of this vulnerability are SQL and XML parsers and program arguments. Successful injection attacks result in loss and damage of sensitive data as well as compromising of sensitive data. Although this vulnerability is relatively easy to detect, the success rate of these attacks is alarmingly high. These are quite common and easy to avoid, but can be disastrous when highly exploited. Whenever someone runs outdated software or uses default system security settings, keeps default passwords for long periods of time or runs unnecessary services, his system is at a risk of being infected by an attacker. These are simple methods for an attacker to gain access to a user’s system and manipulate user’s data. This kind of attack looks to take advantage of weak spots in connection authentication and session management between two systems. When the security measures used are not strong, attackers can gain access to a victim’s account and do all kinds of cyber espionage. The privileges the attacker is granted is an indication of how much damage he can cause to the victim. Ali Raza Ali is a freelance journalist, having 5 years of experience in web journalism and marketing. He contributes to various online publications. With a master degree, now he combines his passions for writing about internet security and technology. When he is not working, he loves traveling and playing games.